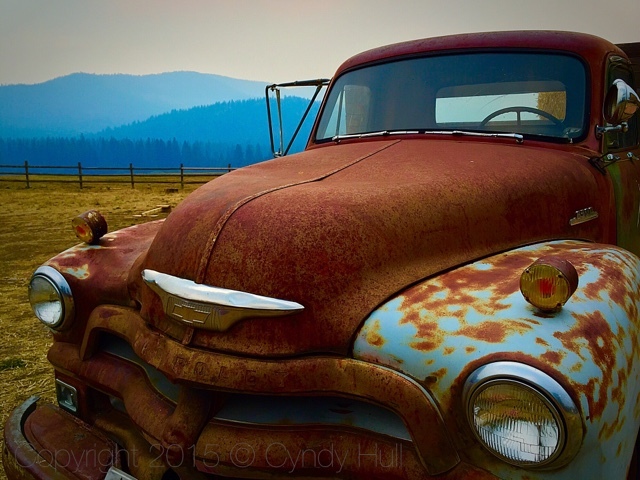 Every real ranch has a rusty old pickup parked somewhere, for back-in-the-day ambiance and reminiscence. I'm not sure which color i like best in this shot; the Coppertone is enhanced by its back-drop of gold then blue on blue on blue...stunning! Good to hear from you again! Thanks for stopping in - hoping to see more of your artwork posted before too long!